Did you just randomly see bubbles floating past you in public? Are you a humanoid currently located in Tulsa? Good news! You have probably just landed on the right page of this thing we call the world wide web. Chances are, you found this page after doing a google search for “Tulsa Bubble Truck” or maybe you googled “why the heck did I just see bubbles floating in front of my car in Tulsa, OK?” You might have been sitting at a stoplight or stop sign when all of a sudden, bubbles floated across the intersection. You might have been walking out of a store or building, and you witnessed the unexplained phenomenon of a swarm of bubbles floating across the parking lot, and now you’re here wondering what is going on. 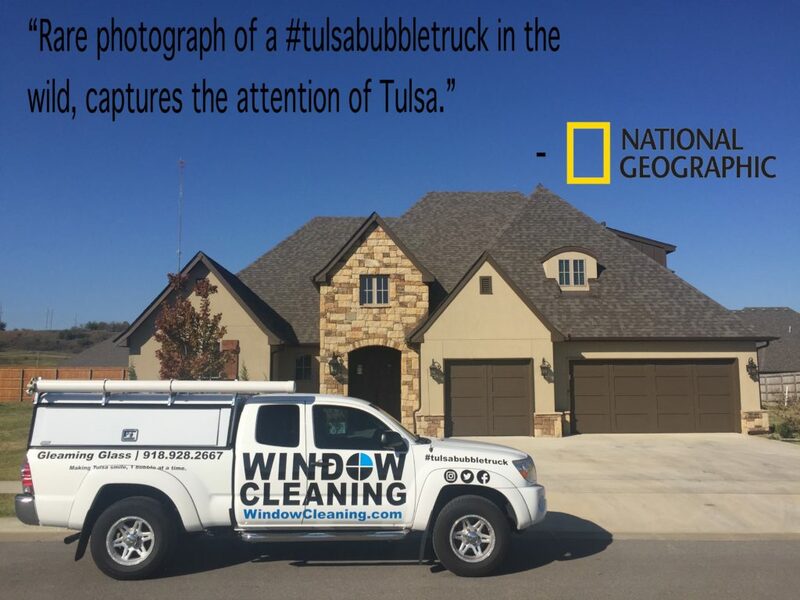 Below, you’ll find a real life photo of the #tulsabubbletruck in it’s natural habitat, at a customers’ house. Please share with us the exact words you searched google for, to arrive on this page. Inquiring minds would like to know. anyone else see bubbles floating around tulsa? why are bubbles floating around tulsa? Did anyone else just see that swarm of bubbles move across Tulsa?! 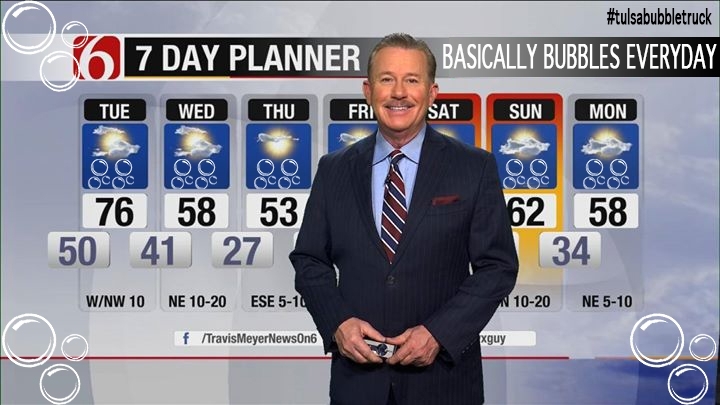 Did Travis Meyer’s weather forecast predict a chance of bubbles today? Yes. Yes it did.